Additional Features Ultra-precision thermosensitive through-hole resistor and the resistance is provided by metal foil meaning the resistor is highly stable with little change over time. 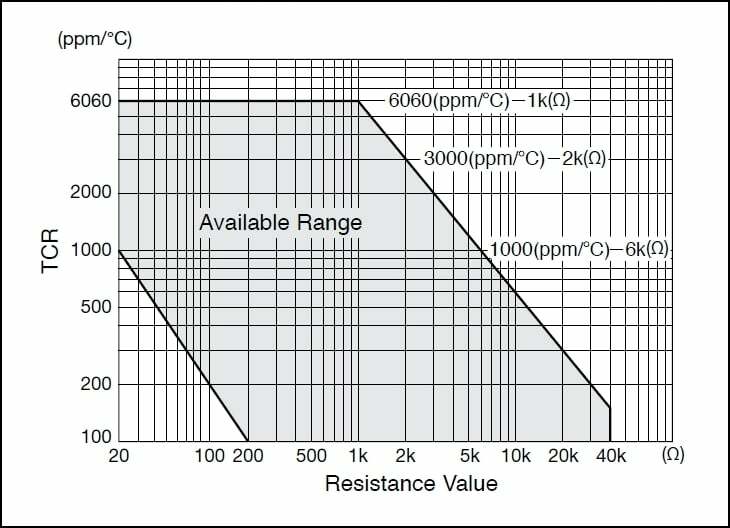 The temperature characteristics of resistance are almost linear and the response to temperature changes is rapid. 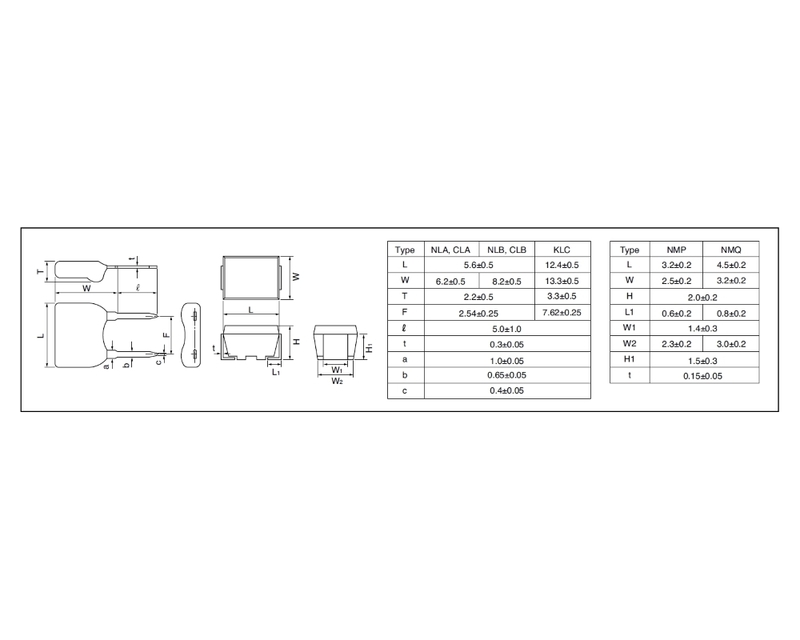 Small size with a pin pitch of 7.62 ±0.25mm and temperature characteristics can be freely adjusted (please see the datasheet for further details). The CLA ultra-precision thermosensitive resistor series from Alpha Electronics offers a highly accurate device that has a resistivity which varies linearly with temperature change in a through-hole package. 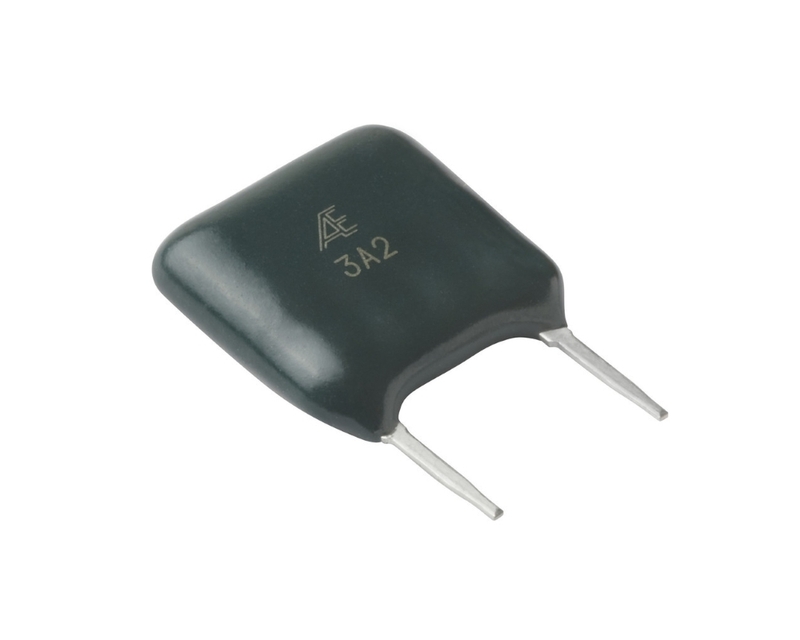 By utilising Alpha's Bulk Metal® foil resistor technology, they are able to produce these resistors that are ideally designed for temperature detection, providing a small size and rapid response.Ultra-precision thermosensitive throug.. The CLB ultra-precision thermosensitive resistor series from Alpha Electronics offers a highly accurate device that has a resistivity which varies linearly with temperature change in a through-hole package. By utilising Alpha's Bulk Metal® foil resistor technology, they are able to produce these resistors that are ideally designed for temperature detection, providing a small size and rapid response.Ultra-precision thermosensitive throug.. The NMP ultra-precision thermosensitive resistor series from Alpha Electronics offers a highly accurate device that has a resistivity which varies linearly with temperature change in a surface mount package. By utilising Alpha's Bulk Metal® foil resistor technology, they are able to produce these resistors that are ideally designed for temperature detection, providing a small size and rapid response.Ultra-precision thermosensitive surfa.. The NMQ ultra-precision thermosensitive resistor series from Alpha Electronics offers a highly accurate device that has a resistivity which varies linearly with temperature change in a surface-mount package. By utilising Alpha's Bulk Metal® foil resistor technology, they are able to produce these resistors that are ideally designed for temperature detection, providing a small size and rapid response.Ultra-precision thermosensitive surfa.. The NLA ultra-precision thermosensitive resistor series from Alpha Electronics offers a highly accurate device that has a resistivity which varies linearly with temperature change in a through-hole package. By utilising Alpha's Bulk Metal® foil resistor technology, they are able to produce these resistors that are ideally designed for temperature detection, providing a small size and rapid response.Ultra-precision thermosensitive throug.. The NLB ultra-precision thermosensitive resistor series from Alpha Electronics offers a highly accurate device that has a resistivity which varies linearly with temperature change in a through-hole package. 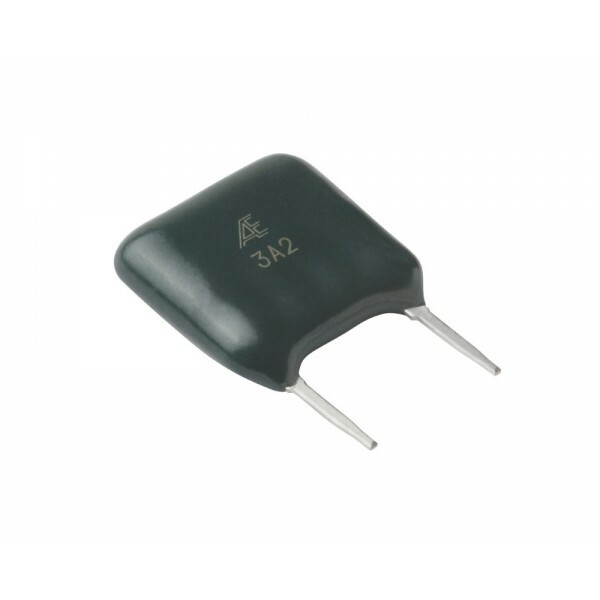 By utilising Alpha's Bulk Metal® foil resistor technology, they are able to produce these resistors that are ideally designed for temperature detection, providing a small size and rapid response.Ultra-precision thermosensitive throug..